A Saugus resident has a rather unconventional career compared to the rest of his Santa Clarita neighbors. Robert Thies, an SCV resident since 2005, earns his keep as an internationally acclaimed concert pianist who has scored major films, music that can be heard in “Green Book,” which just won three Golden Globe awards. And on Sunday, he’s playing a solo concert in Pasadena. 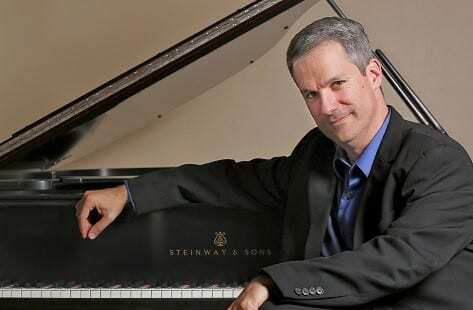 “Piano Quartets with Robert Thies” will take place at the Pasadena Conservatory of Music starting at 3 p.m. “Outside of the realm of classical music, I’ve also done some studio music for film and TV and soundtracks, which is something I enjoy,” he said. “I’ve always been interested in the marriage of music and pictures since I was young.” In the past, he also played on the soundtracks for “Life of Pi” and “King Kong.” Thies grew up in Palos Verdes and stayed in the Los Angeles area after attending the University of Southern California. He has performed as a chamber musician, orchestral soloist and recording artist in his long career that took off when he first captured worldwide attention in 1995. Thies won the gold medal at the Second International Prokofiev Competition in St. Petersburg, becoming the only American pianist to win a Russian piano competition since 1958. “I’ve definitely had a career driven by passion,” he said. “I can’t imagine doing anything else.” Thies frequently plays with orchestras, sharing the stage with members of the L.A. Philharmonic and the L.A. Chamber Orchestra. He has also performed with the St. Petersburg Philharmonic, New Zealand’s Auckland Philharmonia, and the Mexico City Philharmonic, too. He is currently a piano teacher, maintaining a small private studio and serving on the faculty of the Colburn School in downtown Los Angeles. “Music has always been such a huge part of my life,” he said. “And each musician focuses on something different, and I’ve focused on a variety of things throughout my career.” Tickets for Piano Quartets with Robert Thies are $35, with seniors at $20. Students pay $10 at the door. Tickets are available here. The Pasadena Conservatory of Music is located at 100 North Hill Ave. in Pasadena.